With the help of God, during this period, I made several visits to the sick people. I want to tell you something about it: We have a brother in Christ who has both legs amputated above his knee. When I entered him in the room, he was alone and when he saw me he started to smile and said, "I waited for you to come to me." We pray that the Lord be with him, and work also in the hearts of his children who doesn’t know Him. Also, in the last month we had a special prayer time at Church for each family every Sunday in the morning service. We prayed at first for widow or sick brothers & sisters. We motivated the church to show our love by continuing to pray all week for them and to make visits. I was glad to see that a group of sisters visited every week. They came and confessed their joy and the ones they visited. I pray that our love for our neighbors will grow more. I want to bring you some of the joys that the Lord has given us lately. In our family God sent a boy, Taylor to Ema - one of our daughters. They're going to get married this spring. He's an american, his parents are from Michigan. Now we pray that the Lord will give them open doors at interview and get visa for United States of America. We had a blessed time when Taylor came in our family. Another event, in the kids ministry in our church, My wife Nuti and Gina, another sister working with children, had a good time with them, celebrating the day of a girl for whom they prayed with all the other children. Another special moment was the visit we made to the sick people. We have two sick sisters: --- Elizabeth and Valeruta for whom we pray that the Lord will be with them in their suffering. I wish you all a new year full of blessings and victories in Jesus Christ! Through God’s grace we ended 2018 and also through His grace, we stepped into 2019. At the end of the year we celebrated the birth of Christ and during this time we shared the Gospel in our church and in people’s homes. At church, we had a special time at kids’ program because the parents brought some friends with them. I pray that God bless them all. I also had the privilege to meet a family who doesn’t know Christ as a Savior but, through this occasion, they decided to start a relationship with Him. We had a great time together, with tears of joy flowing from their eyes. At the end of the meeting, the man told me: “I felt the presence of God and I am extremely happy”. Please pray for them (Cornel, Andreea & Ionel) ! The beginning of the new year was spent in fellowship and prayer with brothers and sisters from different churches. We had a few days of prayer and worship together and it was a blessed time. There was also a boy named Alex who told me that he wants to receive Christ in his life! Glory to God! With joy I want to greet you in the name of our Lord Jesus Christ! I had a beautiful fellowship with the churches in the nearby villages on the occasion of the Thanksgiving. I spoke to the brothers and sisters and we decided to have a Sunday just for the church members, for a special and close fellowship. It was a special Sunday in which we enjoyed together and we prayed for one another and eat together. An experience of great fellowship! Please for sister Elisabeta who has paralyzed and is on her bed for two weeks. Also a new group of students started school. I prayed for the Lord to be with you all! With the beginning of the school, we resumed the project with students who finished eight classes. By the grace of God, and this year, we continue to help some same school students to attend school in a high school or college. The Lord is so good and we also had the opportunity to help 17 children this year. Beside paying them the bus, every week we meet at the church, where we sing, pray and teach them about God and how we can be saved from our sins. It is a great opportunity for me to do this and I pray toGod to do the miracle of saving their souls. We thank God for all those who help in this project. At the beginning of the year I had a meeting with the church where we pray as a congregation for them and for their entire families, and I thanked God for all who supported this project. Before the school started, I did a few visits to families with children, where I also took a few nice items in a school bag. In every family we were able to tell them a little about God and pray with them, both for the family and for the children who start school. It was a beautiful opening and they created very good connections with families, for which we continue to pray. I am also in this school where I teach religion to seven classes. We believe the Lord will make this work bear fruit over the years. It is a great opportunity to fine-tune between teachers and children and also to plant the seed of the Word of God into their hearts. With all our heart, we thank the Lord for the grace of a new year. We pray that He would guide and help us serve Him with all we have and all our being. As we have done in previous years, we started the new year with a week of prayer, a time of blessing from God when our hearts were moved. We were glad to see the brothers and sisters who participated with joy at these prayer meetings. We were blessed with visits from other churches; we in turn visited some churches, praying and fellowshipping together. It is wonderful to unite with the brethren in prayer with thanks and intercession. I was glad to see how open people were in sharing their joys and problems brought before the Lord. We know that He listens and answers our prayer in His great mercy. These evenings were motivating. Some of the sisters told me they were very encouraged during the fellowship; they felt energized and bold to come before the Lord with their problems. We seem to have more reason to pray for each other and to visit each other more often, especially for the sick. May the Lord help us to live this reality in our life! We have also gone through a hard time as a family. My wife was in the hospital with heart problems. We praise God that she is much better now, and at home. This was a difficult time, but a good reminder that we depend on God in every moment, that we have to be prepared to meet Him and confess Him in any place and any time. After she left the hospital, my wife received a call from one of the hospital room mates who told her she was like a mother for her and the other sick women in the ward, by helping and praying for them. We pray that the Lord would work in their hearts. Please pray for us that the Lord would continue to use us according to His plan and through His power. Thanks for all you do for us, and we pray that the Lord would bless you! I first want to thank God for the wonderful way He manifests Himself in our life, and the way He works through us in the life of others. He is worthy of all our praise and continued service with all our heart. Lately, God has worked in the Church in Nou through the suffering of two families. 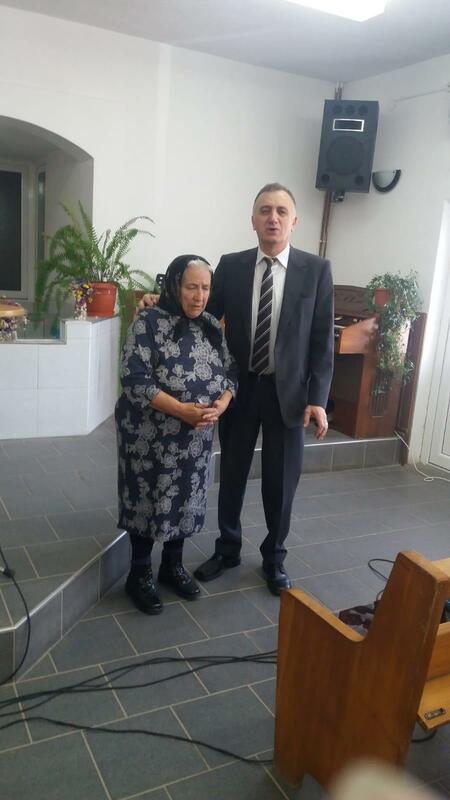 For more than two weeks the husband of Sister Livia Hunta whose name is Ilie, at 60 years old, has gone through medical tests due to health problems. It seems like it’s cancer. He started a cytostatic cancer treatment. This news brought lots of pain to this family. We pray for them that the Lord would strengthen them, and for Ilie, we pray that he would repent, to accept Jesus as personal Lord and Savior. The church has been responsive and supportive toward the family. May the Lord show His power and greatness, working to heal Ilie’s body and bring salvation to his soul. Almost at the same time, the Sister Livia’s own sister suffered a stroke. She was in a comma for two weeks and then died. The most devastating fact is that she died without having the hope of eternal life. May God have mercy on all her family and search their heart. In the Beza family, Brother Nicolae has not attended church in more than twelve years and got married with a non-believer. They have a daughter. His wife, Ionela, is very sick and has been in the hospital for a month. She had emergency surgery and her body in not healing after three weeks. Her condition is getting worse. 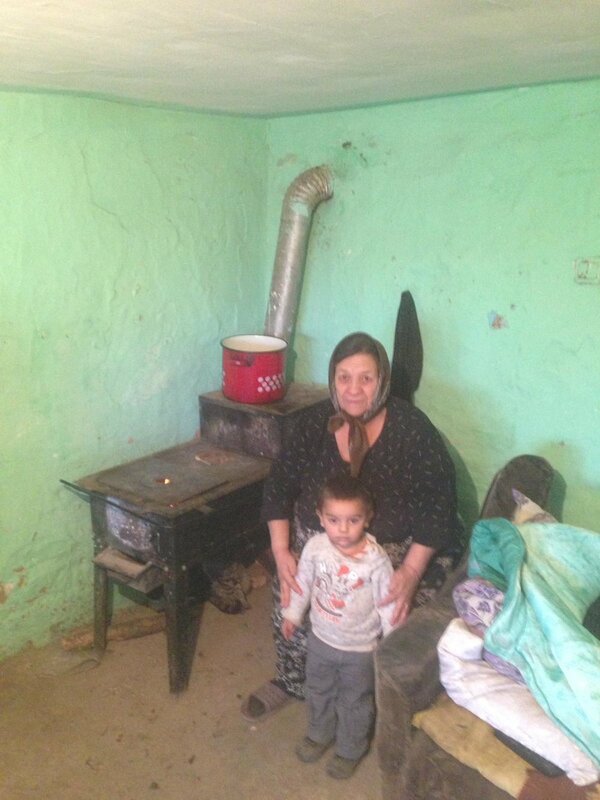 Nicolae’s parents who are in our church, have asked us to pray for this young woman. The church is interceding for her physical healing and for a spiritual change for the entire family so that they all turn to God with repentance. Brother Nicolae has both legs amputated. 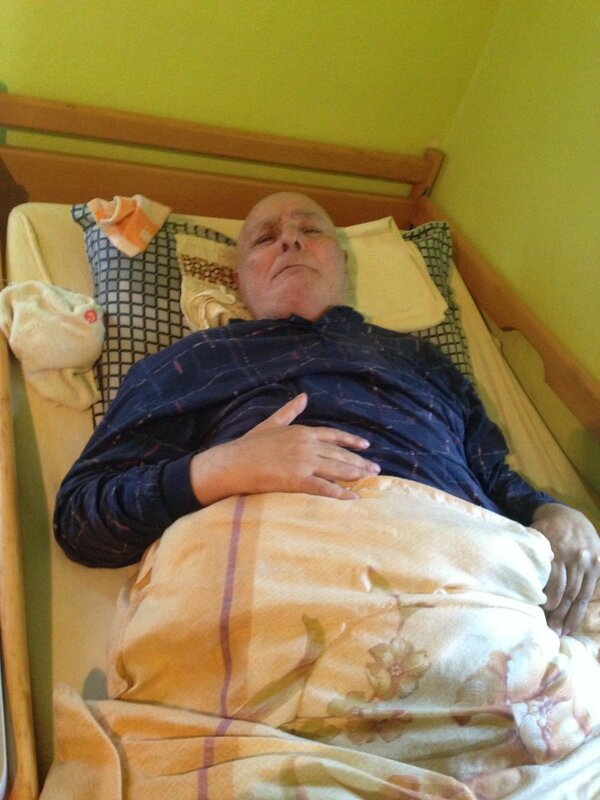 Two weeks ago he became paralyzed on his left side, and is in a difficult situation. He can barely speak and take care of his own needs. We pray that the Lord would strengthen him and help him not give us hope and trust in God. We also pray that those who take care of him would have lots of patience and strength. Looking at all these trials, we are so thankful to God for good health, and we pray that He would help us stay faithful until the end no matter what comes our way. Thanks for being with us in spirit, for your prayer and financial support. May God bless you! All glory be to God for His rich grace which He gave us at the end of the year. To Him all thanks and worship are due with all reverence! 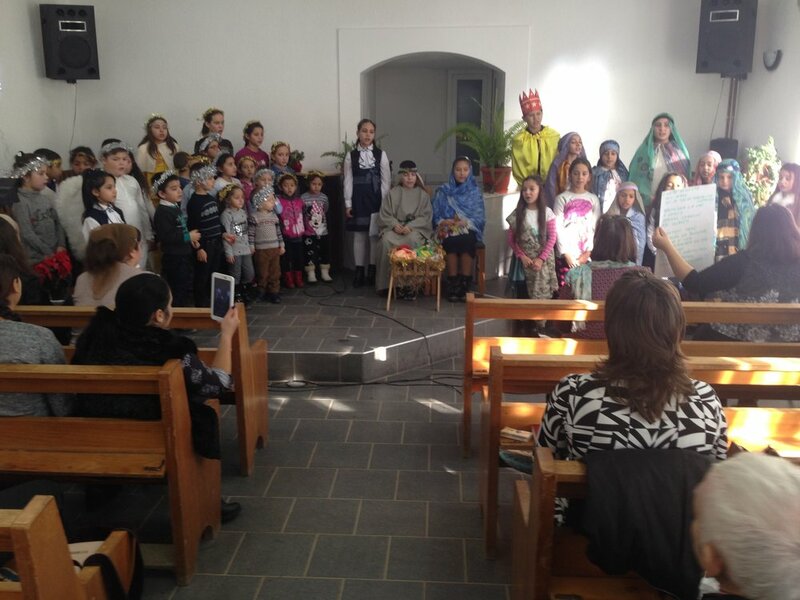 The end of the year was marked by several activities at and outside the church. Celebrating the birth of Lord Jesus was a great opportunity to make the Gospel known to our fellow neighbors in various ways. One was through the church services where our brothers and sisters invited guests. The children’s program brought in visitors, parents and relatives of the children. They got to hear the Gospel, to worship with us and to be faced with the decision to accept Christ as personal Savior. We pray that the Lord would work through the Holy Spirit in their heart. Another way was through the carols, on the Christmas evening in the homes of the villagers. This was a blessed time, especially for the sick, the lonely a nd those who don’t attend church. With the sick, we prayed with them and the relatives and friends in their home. They cried and thanked us. Some of them said that the songs reached the ears, but the prayers touched the hearts. We went into homes where no one was Christian, and told them about Lord Jesus and about the reason He came into this world. We also visited the kindergarten in the village, and took presents to all the children, with God’s help and by our brothers and sisters’ provision. The children and teachers especially were very surprised and welcomed us warmly. We pray that all these actions would bring an attitude of gratitude toward God and faith in Lord Jesus Christ, in the life of these people. Thanks in the Name of the Lord, for all you do for us. May He reward you! I want to share my thanks to God who carries us from victory to victory. May His Holy Name be praised in all we do! May God bless you and keep you in His Grace. Thanks for all you do for us. With God’s help during this time, I was able to serve the brothers and sisters, and anyone else we connected with. May the Lord be praised for all the opportunities he gives us. Through the grace of God, this new school year I was again invited to teach at the public school in the Village of Nou. I say this is grace because I am able to take the Word of God into the world where it needs to be made known. I believe it is God who opened this door, and I pray that God would use me at the school to be a blessing for the students and the teachers. This year I have nine classes from first to eighth grade. One of the best things is that we have the freedom to create the curriculum without other impositions. In this way we can go in with the Bible, open and read it, and learn the truths for our life. We then learn songs by which we bring praise to the Lord; we learn to pray together asking the Lord for wisdom and help. It is wonderful to see how a class of students memorize and recite “Our Father” and sing God’s praises. Another wonderful thing is to be able to open the Bible for the teachers, and to provide answers to various problems. We pray that the Lord would work and make this Word fruitful in the hearts of children and teachers. Another joy is that we can help many families in Nou, to send their children after the 8th grade to learn a vocation or to go to high school. We pay their transportation by bus every month. 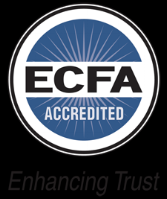 I was surprised to see this year that the Lord put it on the heart of many churches and associations to help with necessary funds. We thank the Gracespring Church for the help they sent, and we pray that the Lord would bless you. We meet with these students every week, to teach the Word of God, sing together and pray for them and their families. There is a great opportunity that weekly we would have 20 youth from non-believing families, who can be exposed to the truth of God. May the name of Lord be blessed! May He work in their heart to know Him as personal Savior! Thank you. God bless you for everything you do for us. I want to thank God for the richness of His grace on us this month. We are so glad to announce that we had the first wedding in our family. We believe that, according to the Word of God, He makes all things beautiful in their own time. Andrei, one of our sons, was blessed with a wonderful wife, Ema. She is a gift from God for Andrei and for our family. “Any good and perfect gift comes from the Father of Lights.” Praise His Name! We had a great time at the weeding and at the reception. We pray that God would keep them in His love all their life, and that they would be a good example for other families. At church, we are glad that God adds to the number of the saved, and we pray that He would keep us all in His grace. After the baptism last month, the Lord brought a new atmosphere in our worship team. Sister Anita who was baptized, joined this team and is filled with joy and enthusiasm to serve in this way. All the others are sharing this joy. We pray that the Lord would bless them all and that their serving would praise the Lord and would determine others to glorify Him with all their heart. Thanks for all your support, and we pray that the Lord would bless your ministry. With God’s help, we organized another evangelistic event in the public school, through which we showed the love of God to students and teachers. Each of the 200 students received a packet of food items and school supplies. Everyone knew that this act of love comes from God who cares for all our needs. We had an open door with the teachers; we talked with them about the goodness of God toward all people. The fact that we were welcome in the school is also an act of God who works in amazing ways. It is appropriate for us to bring all the glory to the Lord Jesus for His rich grace poured on us. We are glad to benefit from this amazing grace individually, as family and as church. Celebrating the Resurrection of Jesus was a blessed time, through everything that took place in church and outside. The days before Easter were days when we got closer to the Lord through prayer and fasting, and fellowship, a time of meditation and searching of our heart, asking the Lord to make us holy and to help us be more dedicated and filled with love toward Him and each other. The brothers and sisters responded well in the way they prayed, visited and helped each other. It was also a time when families gathered and spent time with each other. One of the families gathered all their children and close relatives, and enjoyed a special time together, talking about the Lord Jesus to relatives and friends. First I want to praise God with all my heart. He is the only one worthy, for the wonderful way in which He worked during this time in our lives. By the grace of God, in March we had a great opportunity to evangelize, with many people hearing the message of the Gospel. Together wit h other three churches in the area, we prepared through prayer and fasting, and God worked in a wonderful way. We shared a meal together, and then had an evangelism service. January began with a week of prayer among many of the churches in our area. We took turns meeting for prayer in these churches, and thus enjoyed the fellowship with brothers and sisters in various places, praising God together and bringing our request before Him. Although it was very cold outside, the brothers and sisters came to prayer. These were evenings filled with blessings in which we felt the joy of the presence of God with us, which encouraged us to prayer. In December, our main concern was serving people in our community, especially around celebrating our Lord’s birth, but also helping families who needed spiritual or material help. I thank God for His goodness and mercy poured richly over us during this hot summer. God has truly blessed us both within our family as well as in the church.